I’ll be the first to admit that I’m a little late to the Pokemon Go game. In fact, until I realized that it had any implications on the way people date, I was hoping to never know anything about it. I vaguely remember it being something people played on the Gameboy (remember those?) when I was an early teen. But I wasn’t allowed to have a Gameboy (don’t feel badly for me; I had the original NES), so I didn’t know the glory that was Pikachu and his friends. And, just as fast as the game came, the game went away. But as most of us know, this year Pokemon Go (Pokemon, for reference, is short for the original Japanese title of “Pocket Monsters”) has taken the world by storm. Again, I thought I could avoid this cultural phenomenon like the plague. Aren’t I too old for this anyway? It turns out 1) I’m not—and no one is—too old for it and 2) when the conversation turned to Pokemon and dating, I knew I couldn’t turn a blind eye anymore. Pokemon Go is a game that lets you travel between the real world and the virtual world. In an attempt to have a clue of what that meant, I downloaded the app. To be honest, I found it to be confusing, entertaining, and annoying all at the same time… the perfect recipe for dating, perhaps? I found a Pokemon at my office sitting with a colleague, one in my bed, and one on the sidewalk. Quite the intrusion! The creators of the game aren’t dumb. They soon saw that a way to capitalize on this idea was to introduce a dating site for those who are equally obsessed with the game. 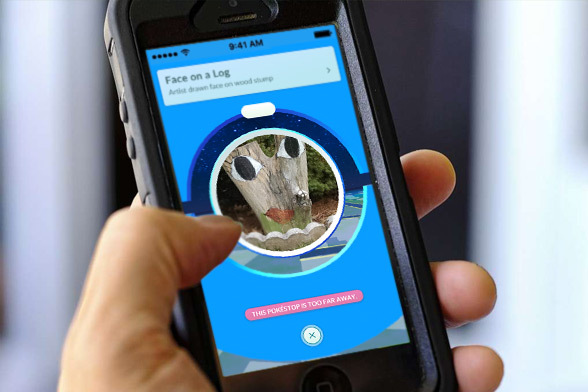 Like JDate is a site for meeting Jewish singles and OurTime is a site for meeting those in the 50+ category, Pokedates is a site that aims to get single Pokemon Go players to meet up at a prearranged "PokeStop or "PokeGym" before exploring their city for Pikachus, Squirtles, and the elusive Mewtwo. Here’s the problem that I, as a dating coach, see: People stare at their phones day and night, in bed, in the bathroom, and at work. The last place I want my clients staring at their phones is on a date. I want to preach the art of a real connection. There’s no substitute for looking someone in the eye and smiling without a pesky Caterpie getting in the way. (Those stubborn things!) This dating site just seems like an excuse for people to stay behind their screen on a date—the one place it was sacred to be present without a phone in hand. No longer. When I tried the app, while I couldn’t care less about catching these little rascals, what I did care about was looking at all the landmarks the app showed me right in my own neighborhood. You can zoom in or out on where you are and see the various landmarks in your area. When you click on each one, a photo and short description comes up explaining what said landmark is. For example, where I live in Washington, DC, through Pokemon Go, I learned that there is an historical house that was built in the 1860s for a butcher just a block away. There are also about eight churches of varying denominations within a five-block radius. And, to top it off, there’s a sculpture called “Face on a Log,” which is exactly what you think it is, a face drawn on a log, about two blocks away. These interesting discoveries make one want to get out there, perhaps with someone else, to find out what other real thing lie in our midst, not the virtual ones. If the app is a vehicle to learning more about each neighborhood, then that is where the possibilities for dating are. Rather than meeting strangers at a "PokeGym,” how about instead saying that you’re instead going to learn about five new places in a neighborhood over the course of a date? That’s much more educational and fun. And then when you make these sightings, rather than logging them into your imaginary rolodex, or Pokedex (I kid you not), you can look at each other directly and bond over this discovery. That, to me, is much more interesting than running after some oddly shaped and named gnarly rodents while never lifting your eyes from your phone. Don’t forget what dating is all about: connecting and getting to know someone. You may initially meet on screen when you’re online dating in any capacity, but take the time to enjoy life in front of the real person. 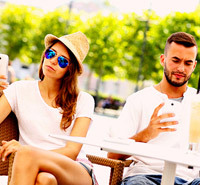 If you’re looking for more advice on online dating, specifically the dos and don’ts of chatting online, look no further.